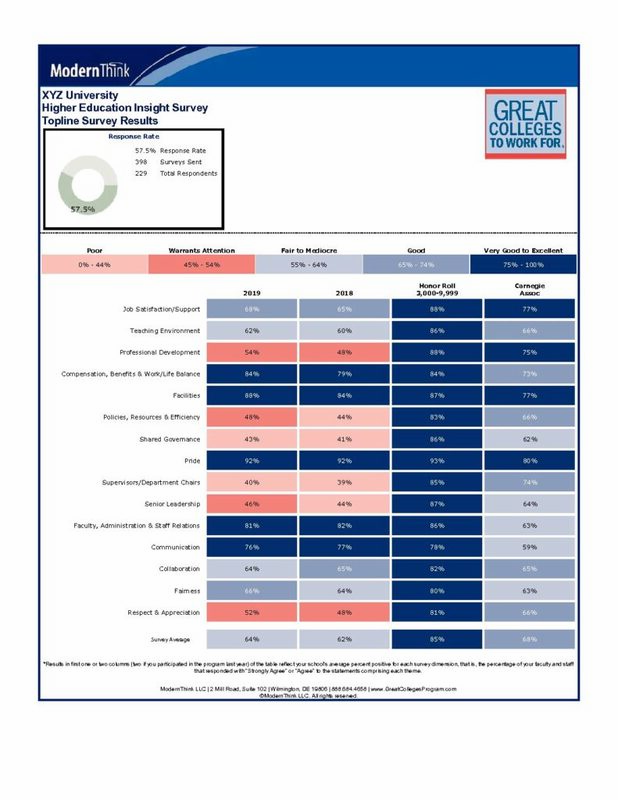 All participating institutions receive three free reports as part of the Great Colleges Program. You will also receive benchmarking data to compare your institution’s results against the Honor Roll as well as Carnegie Classification. 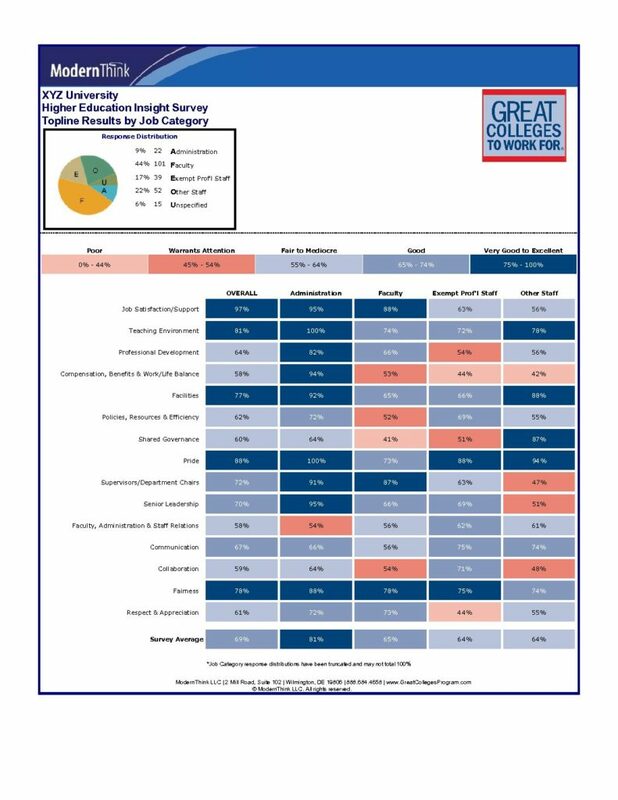 Shows you both the overall positive responses (percent who “Strongly Agree” or “Agree”) broken out by your Administration, Faculty, Exempt Professional Staff, and Non-Exempt Professional Staff for each of the 15 themes. A 20-25 page summary of aggregate data collected from the Institutional Questionnaire© (IQ). You will see aggregate statistics on topics such as turnover rates, applicants per hire, salary ranges, training hours, paid holidays, and much more. The report also includes an inventory of the most popular benefits, policies and communication tools. * Please note this report is subject to change. Want to get more out of your survey results? The Great Colleges Program provides advanced reporting options for an additional fee. Please visit the Additional Reports & Services page for more information. Received your results but unsure of what to do next? ModernThink’s workplace experts are available to help you analyze and communicate your results to your employees while developing a plan for implementing next step actions. Please visit the Additional Reports & Services page for more information on the available consulting options.